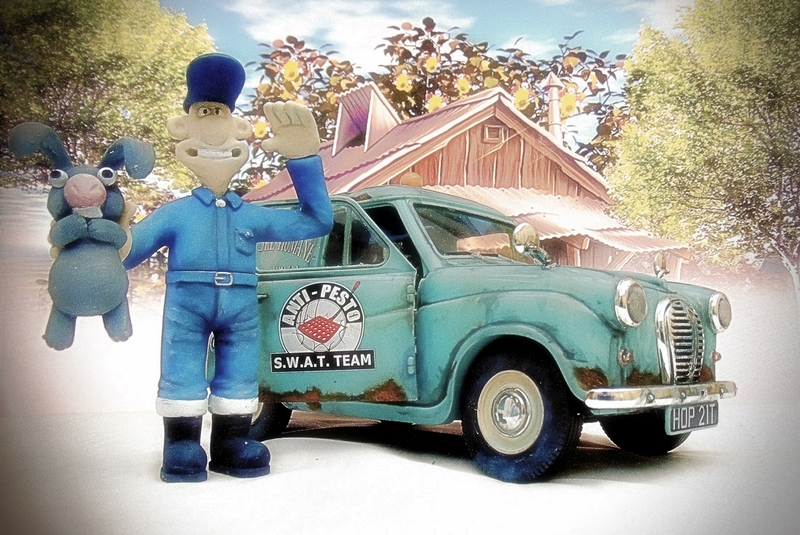 From the hit film “The Curse of the Were-Rabbit” comes Wallace and Gromit and their “Anti-pesto van.” The kit is an Austin A35 Van, in 1/12-scale with rubber tires, opening and closing doors, chrome grill and bumper, including figures of Wallace and Gromit. Great fun to build, this was on a limited edition release from airfix, and is currently tricky to find although they do come up from time to time on popular auction sites. Built from the box as always, I have read with interest some modellers unhappy with various elements of the kit using filler etc to correct before building.